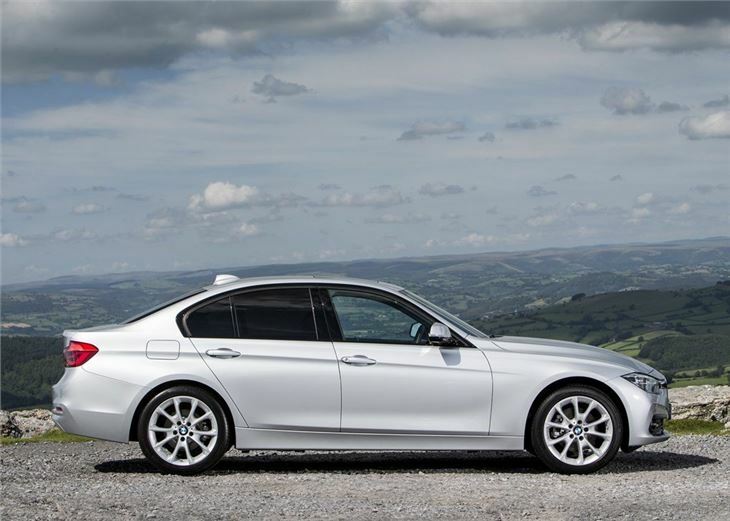 The BMW 3 Series is one of the most popular premium saloons on the road. 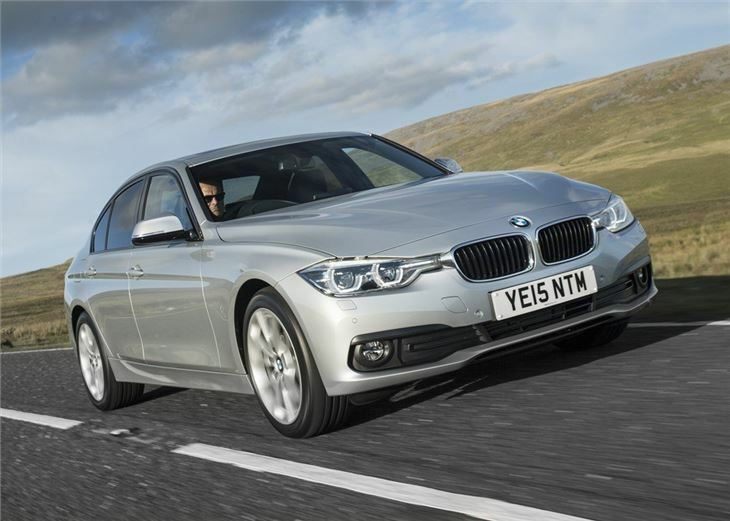 But three years after its launch - and with the Jaguar XE arriving along with an all-new Audi A4 on the horizon - BMW is giving it a subtle mid-life refresh. 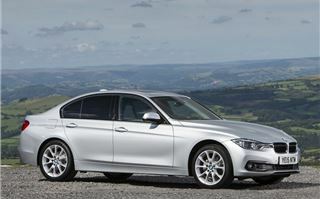 From the exterior you'd struggle to tell the updated 3 Series from its predecessor. 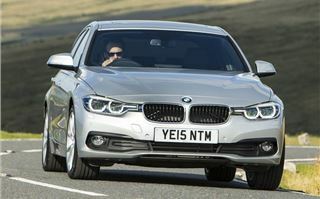 The latest car looks almost identical to the old saloon, but BMW assure us it has redesigned bumpers and headlights. Things are a little more noticeable at the back with dual tailpipes and LED lights now fitted as standard. 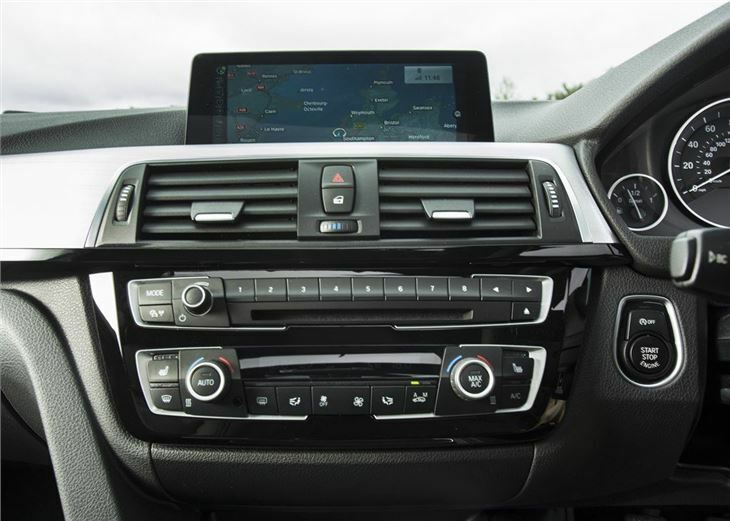 On the subject of equipment, the latest 3 Series gets significantly more kit for your money, with navigation now standard along with a 6.5-inch colour screen and dual-zone climate control. 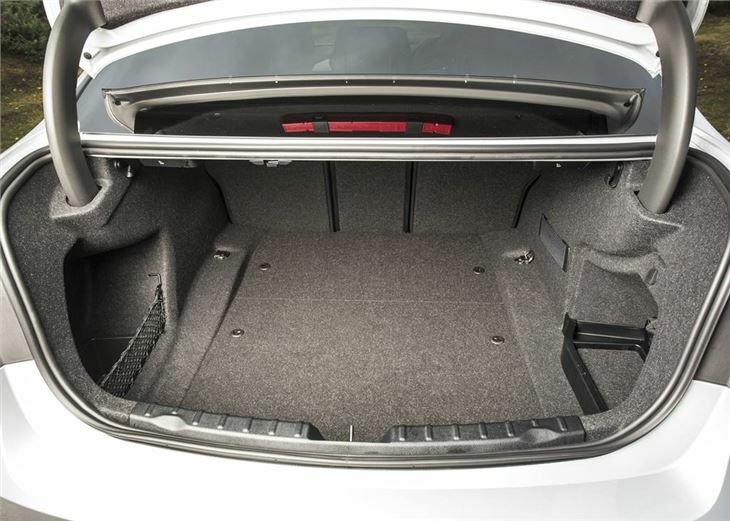 Rear parking sensors are also fitted, with automatic headlights and rain sensors. There are some significant changes under the skin too, with new suspension, steering systems and updated engines. 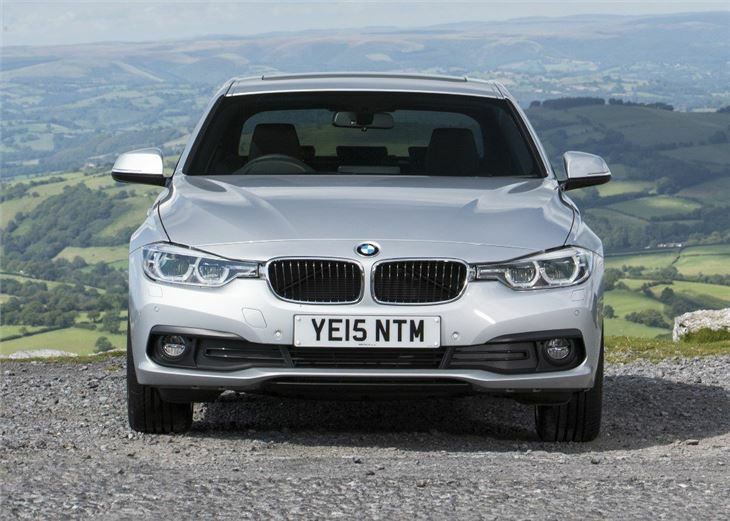 The 320d has traditionally been the biggest seller in the 3 Series range and it’s here that the important improvements are found. The four-cylinder diesel is now more powerful with 190PS - up from 184PS - and this means it gets a new 0-62mph time of 7.2 seconds, which is two tenths quicker than the before. 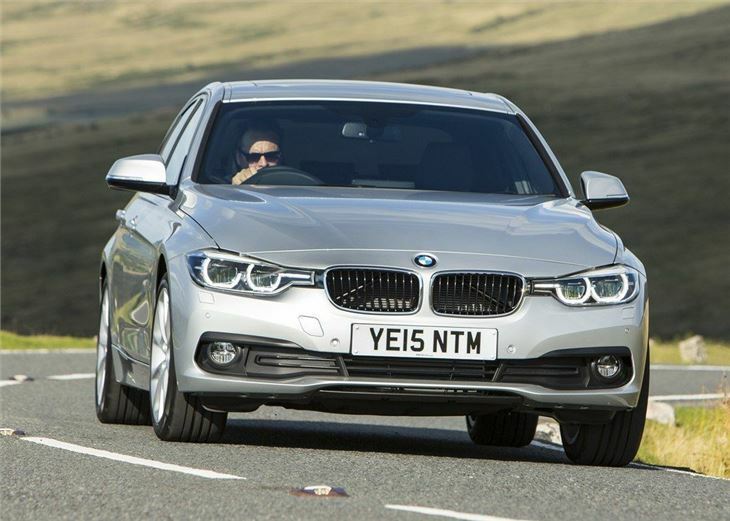 Fuel economy has also improved with a claimed 67.3mpg and 111g/km of CO2. 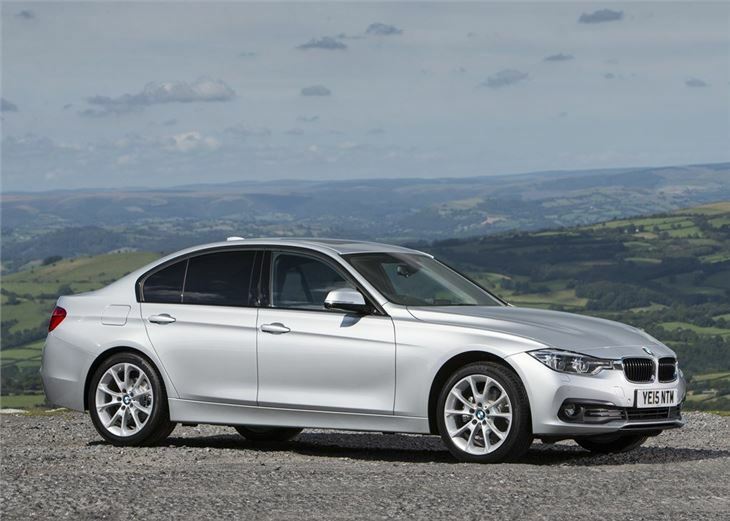 As well as being cheaper to run, the 320d gets stiffer suspension and new damper settings, along with retuned steering to improve both low and high speed handling. 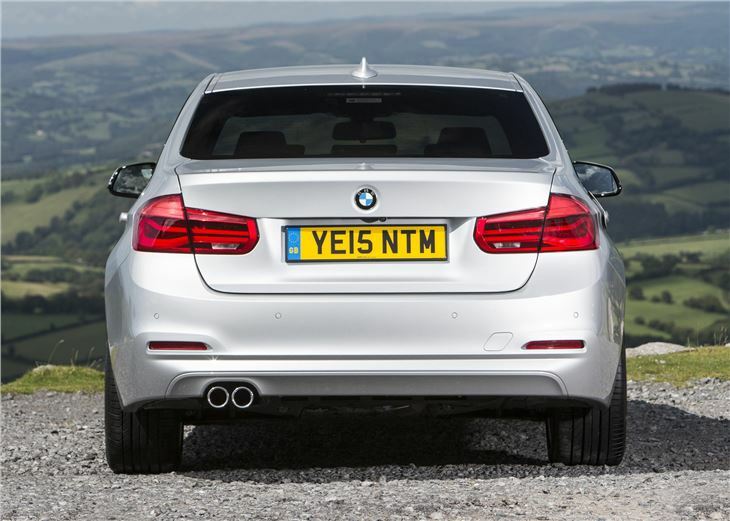 It will also sit 10mm lower, should you opt for M Sport suspension. 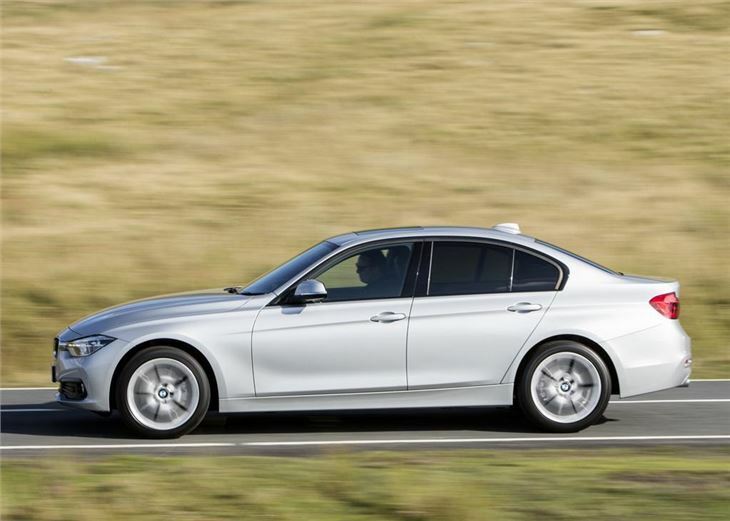 Usually, when stiffer suspension is fitted it comes at the detriment to the ride quality, but BMW has swerved this pitfall and actually made the 3 Series better. 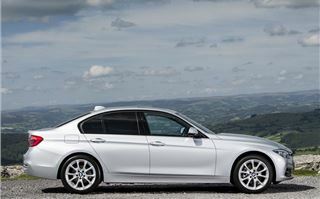 Indeed, on standard 17-inch wheels, the 3 Series remains one of the smoothest and most comfortable cars to while away the hours in, with a supple ride that feels composed and calm. 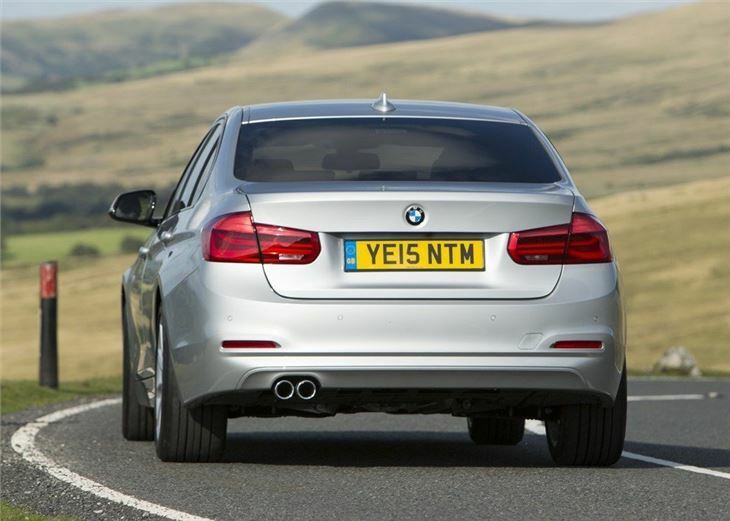 Road noise is kept to a minimum, which is an area we found wanting on the previous 3 Series. The reworked 2.0-litre diesel engine is quieter and more effective than before, delivering its 400Nm of torque and adding fluidity to both low and mid-gear acceleration. 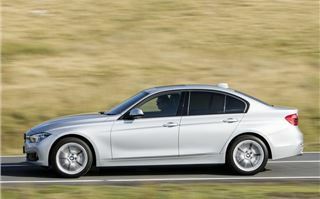 The extra power also reduces the need to reach for the downshift whenever you think of overtaking slower traffic. 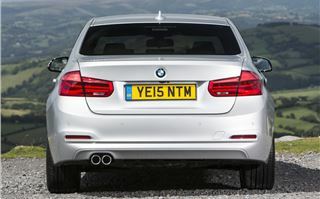 Admittedly, the power gains are modest, but it does add an extra level of refinement to already one of the best four-cylinder diesels in the business. 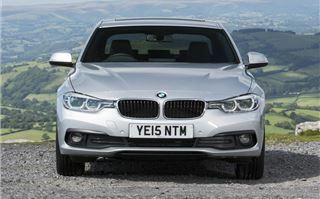 What's more, in Efficient Dynamics form, the 320d returns up to 74.3mpg and strikes that all important 99g/km of CO2, but there is a minor drawback, with engine output dropping to 163PS. 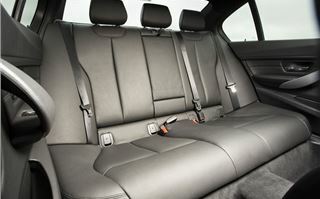 The four-cylinder diesel works best with the eight-speed automatic gearbox, thanks to its wide gearing and smoother changes. 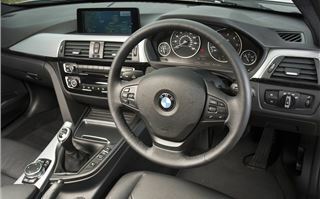 A six-speed manual is fitted as standard, returning short and efficient enough changes, but we think the automatic is a worthy option, albeit costly, at £1500. 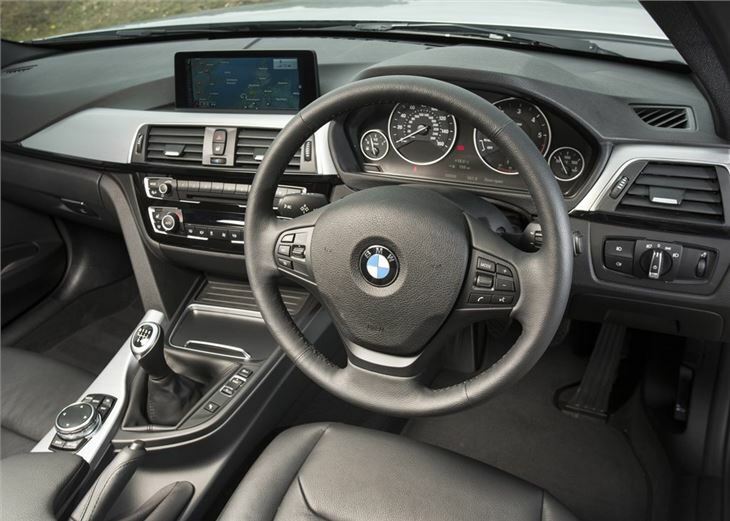 Apart from some extra kit, the interior of the 3 Series is very much the same as the old car, with lots of space and an excellent driving position. 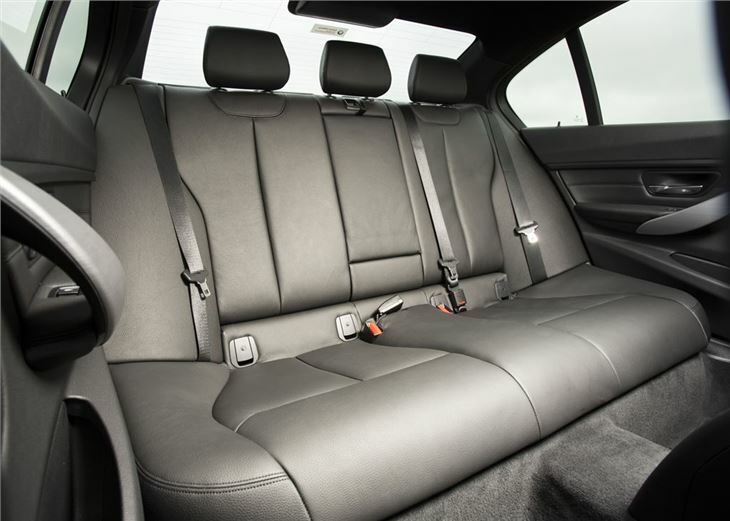 The driver's seat has plenty of adjustment and the 3 Series will have no trouble carrying four adults in comfort, with lots of head and leg room for those in the front and back. 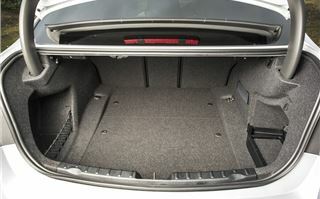 The boot is large too, with 480 litres of carrying space. 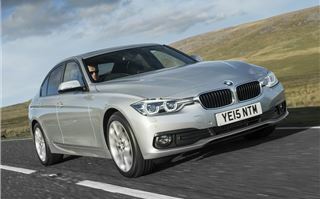 It's perhaps easy then to reaffirm that the BMW 3 Series is still the best executive saloon around, but the latest round of updates don't change the fact that its rivals have narrowed the margin. 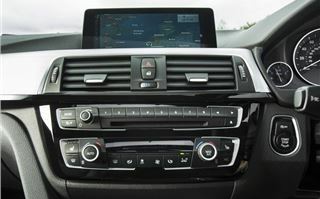 As a result BMW will take little comfort from the fact that Mercedes-Benz and Jaguar has used the brilliance of the 3 Series as the benchmark and we concede that they are getting extremely close. 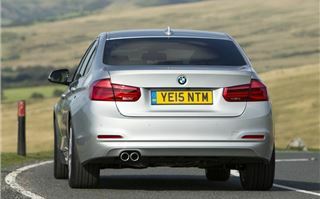 That's not to say you shouldn't buy a new 320d - it's still brilliant - with a refined ride, plush cabin and low running costs, but with a new Audi A4 on the horizon we'd wait before making a final decision because there could yet be a new champion among executive saloons.